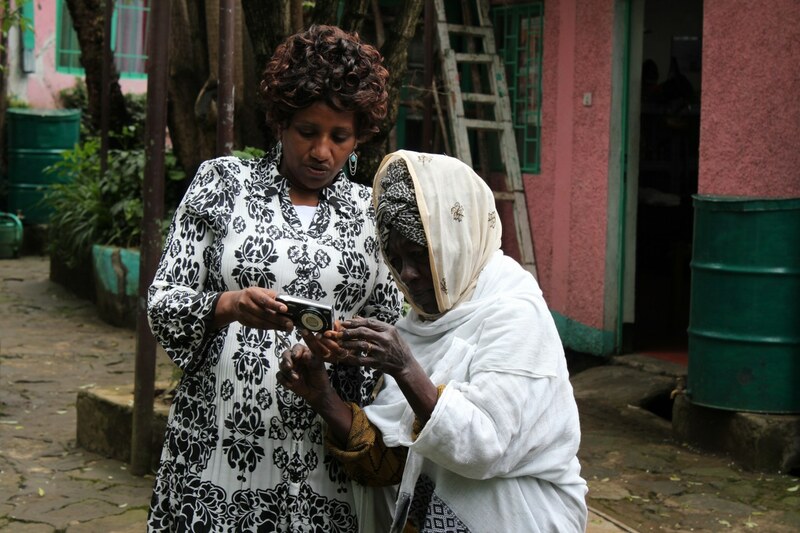 ‘We have poverty in Ethiopia, but things are getting better. The government is working to make things better, communities are working to help themselves. Show this – not just the problems,’ the Head of Press at the Ethiopia Embassy in London, cautioned us. We were in his office, about to embark on a trip to Ethiopia – with the purpose to start a project teaching older people to take photographs. It was music to my ears; I enthusiastically explained that our project was not about us going in and creating a one-sided product that showed Ethiopia’s problems, in order to shock the British public. Quite the opposite! 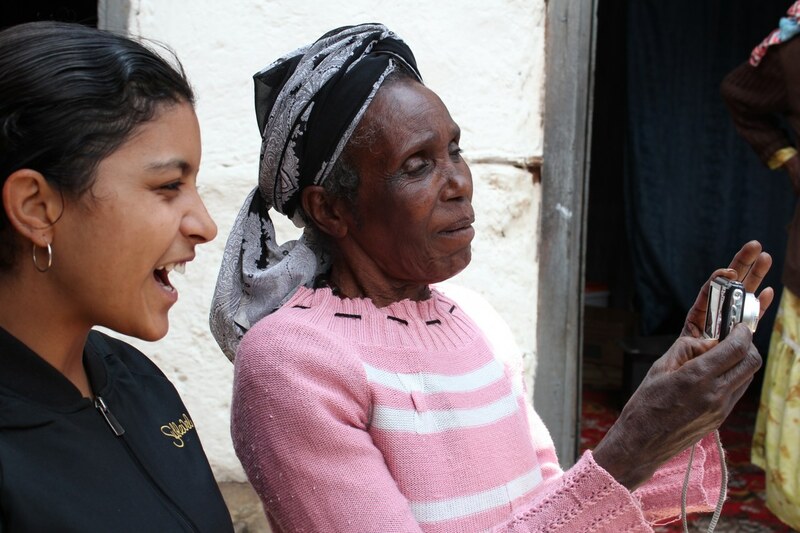 We would be giving a platform to members of the communities where Age International and its local partners work. 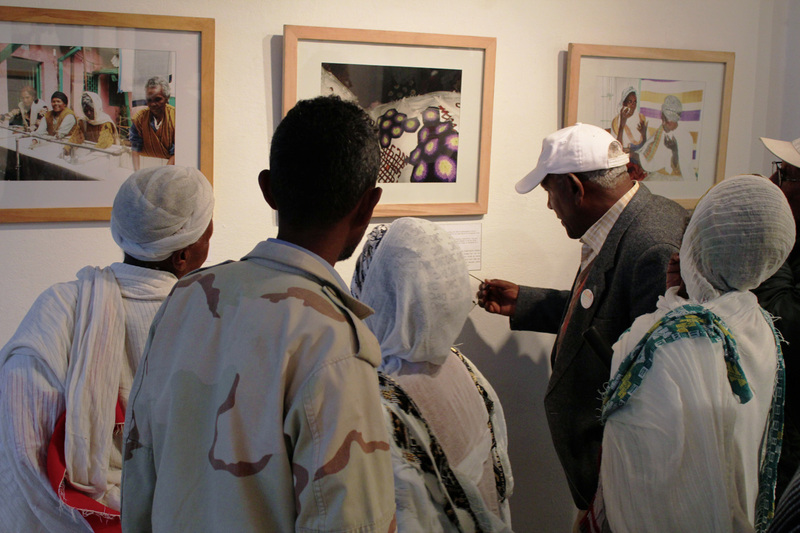 By training older people to use photography as a way to capture and share their perspectives and stories, we would give them power over how they and their communities are represented. We wanted to hear from them; about their priorities; and the changes they have experienced which have made a difference to them and their families. Most importantly, we wanted to see beyond the problems and needs and show the people themselves. Guests participants gather to view the photo exhibition. At PhotoVoice, we share the concern of the Head of Press at the Ethiopian Embassy; a one-sided view of a country and its people, shown as victims in need of help from rich and powerful people from the developed world, is unhelpful and potentially destructive to long-term development. These people are not helpless victims – they are active agents of change in their own lives and their own communities, and affected by initiatives from other community members and their government as well as those of international NGOs. It seems our project was going to address expectations within Ethiopian society as well as outside it. All I could say was this: he would have to wait and see for himself what these older people were capable of. Bayush takes part in the participatory photography training. The older people who took part in the participatory photography training were excited to be introduced to photography for the first time in their lives. They soon grasped not only the technical skills required to frame and focus in order to take a good quality photo, but also the principles behind how to communicate a story or message through an image. They discussed how to represent their community and themselves, and became responsible citizen journalists by getting model consent from those they photographed and videoing the conversation on their cameras. Above all, they had great fun! The photos and captions created by these older people in just one week show just how much this project has addressed both the questions raised before we started. The older people who participated in the project will continue using the cameras to share their lives and to illustrate changes within their communities. This way local HelpAge staff and Age International supporters will better understand the older people with whom they work. As well as providing rich and powerful insights into the lives and priorities of these active and eloquent participants and the complexities of life in their communities, the photos are a testament to the ability of these older people to grasp an opportunity to gain a new skill and to use it with imagination and talent. Erna shows Zenebeche how to take a photo. So, the fears that photography would be ‘beyond’ older people, turned out to be unfounded. Instead, this remarkable group of people proved that it’s never too late to learn a new skill. If an older person can go from never having touched a camera, to taking portraits of their neighbours, over the space of an afternoon – then why should we give up on them? There seems, to me, to be a similarity between the way older people are stereotyped and the way developing countries are stereotyped. 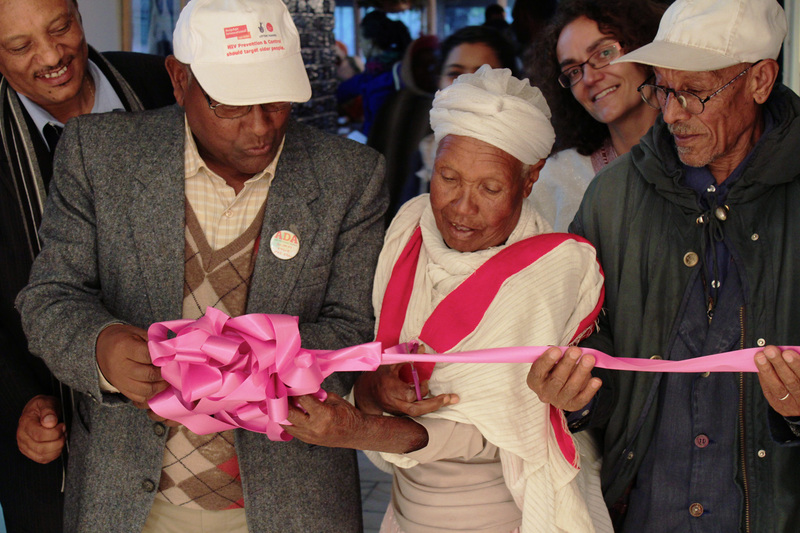 To treat older people as ‘past it’ or to frame developing countries as ‘in need’, is damaging and dangerous. Older people do have unique vulnerabilities that need to be recognised and addressed just as developing countries deal with many serious problems, like poverty. But that isn’t the only side of things. We should always trust, that with generosity and understanding, the human spirit can surprise us. This is a guest blog, from Matt Daw, Projects Manager at PhotoVoice UK. All thoughts expressed here represent the views of the author, and do not necessarily represent the views of Age International. Why were so many older people killed during the Nepal earthquake?